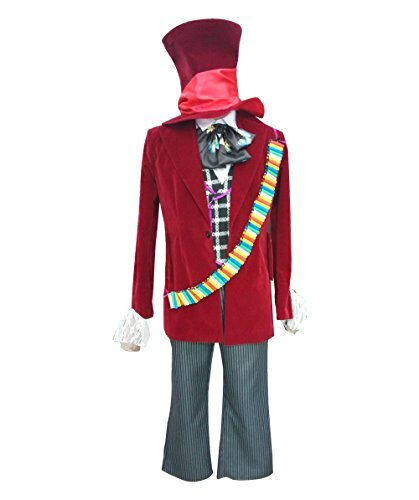 Deluxe authentic and exclusive Disney Store Mad Hatter costume. Costume includes coat with attached vest, dickie with bowtie and pants (not the hat and wig). Have a very merry unparty! Be mad as a hatter this Halloween dressed in our fantastical Alice in Wonderland Mad Hatter Costume. It’ll be a wonderfully wacky experience in Wonderland as the witty friend of Alice and the March Hare.